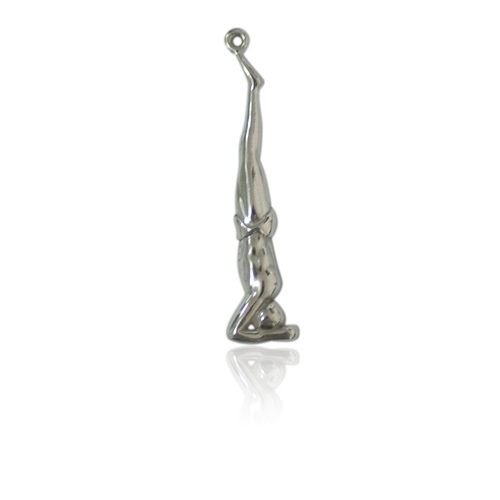 Unifiedon4th designs and manufactures a range of Yoga Pose pendants in sterling silver. As a manufacturer it usually supplies to wholesale clients who sell to retail customers. However this time, it is offering this range directly to yoga studios in various countries at its factory price. We are told that the business owner is himself an avid yoga enthusiast and has involved many of his staff and factory craftspeople in yoga during their work week. Visiting yoga studios during his travels, he understands yoga and the studios that support yoga is often a labor of love and life style choice. The company has started with a small choice of twelve male and twelve female postures. Prices range from US$3.00 to $6.00 per sterling silver pendant. I am interested in the wholesale purchasing these yoga pendants for our Yoga Center. I would like to start with 12 female postures and 6 male postures.